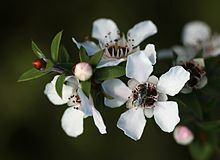 Manuka honey has an exceptional antibacterial activity not found in regular honey. Effective in the treatment of wounds, cuts and burns. Used to treat mouth ulcers, tonsillitis, gastroenteritis and constipation and it is thought to strengthen the immune system and assist in combating colds and flu. Copyright © 2018 AustralianVitamins.com, All rights reserved.